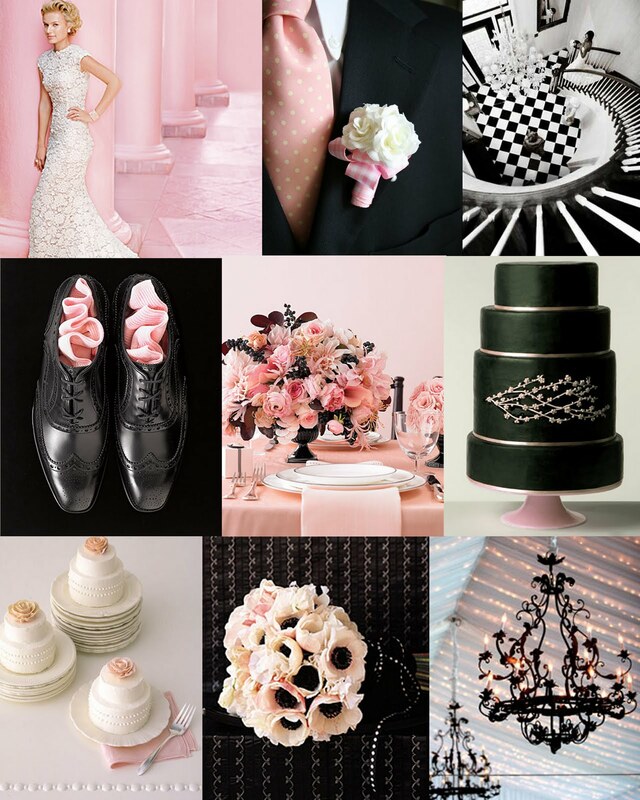 I love revisiting inspiration boards that I've done some time ago to see if they are still relevant. The classic feel of this board is something that I never tire of looking at. I think you can play with this palette two ways, mostly pink with touches of black OR mostly black with touches of pink! Have a great rest of the day! Check back tomorrow for a real wedding!